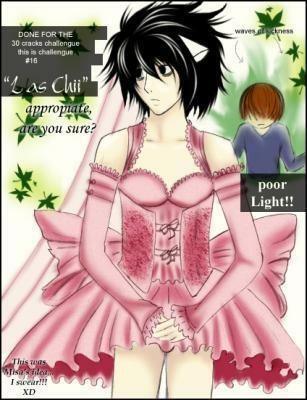 L is one pretty in rose kind of guy. . Wallpaper and background images in the Death Note club tagged: death note death note l light funny. This Death Note photo might contain anime, bande dessinée, manga, and dessin animé. OMGOMGOMG!!! Pink is totally his color!!! OMGOMGOMG!!! Light should have this on....Matches his lovely Tresemme hair and blushing lips.